Is Kaine Able? | News and Features | Style Weekly - Richmond, VA local news, arts, and events. "Cesspool of corruption and inefficiency." These words, oft repeated by L. Douglas Wilder to describe the state of city government, became the hallmark of his 2004 bid for mayor of Richmond. Wilder promised to shake up City Hall and give it a good airing, eliminating fraud and waste. Supporters of Republican candidate for governor and former state Attorney General Jerry Kilgore have since gleefully latched on to Wilder's words. Who was responsible for the cesspool? they ask. Who oversaw the formation of an administration that would later become embroiled in scandal? Their answer: Tim Kaine, Richmond's former mayor and Kilgore's chief rival for the governor's office. Kaine, however, has made his accomplishments as mayor a central pillar of his campaign. Richmond became a better, more business-friendly city on his watch, he says. Kaine cut crime, built schools, lowered taxes and added jobs, his television ads assert. So who's right? Was Kaine a good mayor or a bad one? He did a decent job, most political observers seem to agree. But the bigger question, they say, is whether he fairly ought to get the credit  and the blame  for what happened in Richmond during his three years as mayor. The important thing to remember, says Commonwealth's Attorney David Hicks, is that at the time, the title of mayor conferred none of the power it does today. "I have long said something very similar to what Mayor Wilder currently says, that the head of council really should never have been called mayor in the city of Richmond," Hicks says. For a half-century pre-Wilder, mayors were selected by the nine members of City Council. The city manager wielded much more power than the mayor. 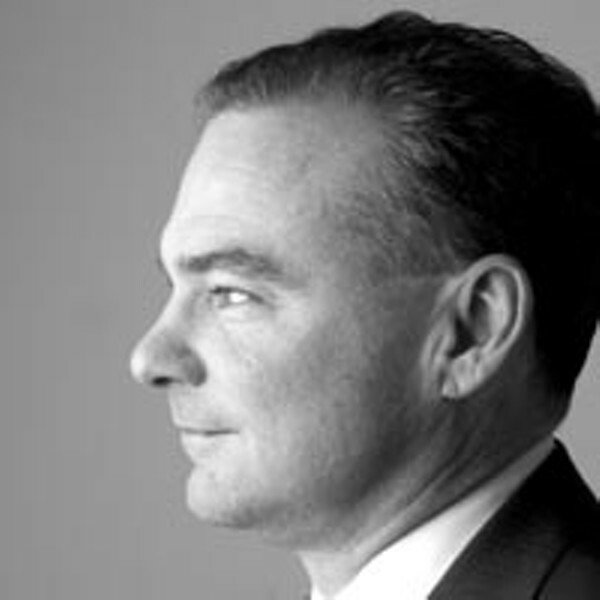 Kaine was elected mayor by the City Council in 1998 to replace Larry Chavis. The choice of a white mayor by a majority-black council surprised many Richmonders and drew some criticism. But Kaine was energetic, charismatic and, most important, spoke openly about his commitment to racial reconciliation in Richmond, says John Moeser, professor emeritus of urban studies and planning at Virginia Commonwealth University and now visiting fellow at the University of Richmond's Center for Civic Engagement. "What won out was not race but shared commitments," Moeser says. Kaine, a well-known trial lawyer with aspirations for statewide office, became, in many ways, the face of city government. He treated the office as a full-time job, Moeser says, and made a point of meeting with business owners and community leaders in neighborhoods all across Richmond. But Richmond had problems handshaking couldn't solve. Violent crime was spiking. Middle-class residents were pouring into the surrounding counties, leaving a shrinking tax base to shoulder the needs of a large low-income population. "In some respects," Moeser says, "Richmond was assuming social costs for the entire region." These issues, he says, were "beyond the ability of any single mayor, whether Tim Kaine or anyone else, to effectively address." Kaine tried, however. He set out to make the office of mayor more than honorary, both by building relationships on council and by appointing a new city manager: Calvin Jamison. Where the previous city manager Robert Bobb took a leading role in setting city policy, Jamison took a back seat. A former human resources executive at Ethyl Corp. with no prior government experience, Jamison's hiring was criticized by some in the community and on City Council. Some worried that Jamison was too green to tackle the city's tougher issues, such as the skyrocketing homicide rate. Jamison's biggest proponent on council, however, was Tim Kaine. And after Jamison took office, Kaine took on a much more visible role, becoming something of a de facto strong mayor. The abuses of city government that Wilder often references occurred after Kaine left City Council and became lieutenant governor. But critics say the seeds were planted while Kaine was in office. Kaine, for his part, staunchly defends Jamison. "I think that they're wrong," Kaine says. Jamison served the city well, he contends, helping raise the city's bond rating and school test scores, among other things. "What Calvin could not do was overcome City Council members that were doing things they shouldn't," Kaine argues. The system in place before Kaine took office  of a mayor in name only and a council-appointed city manager who essentially ran the city  was "a flawed form of government," Hicks says. The system allowed council members to dodge responsibility for problems and take credit when things went right. If crime got out of control, Hicks says, they claimed, "There's nothing we can do about it." When the crime rate again decreased, he says, council members said, "Ooh, look what we did." So is Kaine trying to take too much credit for fixing Richmond? "I never said I was unique," Kaine says. "I didn't wave a magic wand and change everything about the city." Yet, he says, there is no objective measure of Richmond's progress that failed to improve during his tenure as mayor. Nor is it fair to blame him for everything that went wrong, he says: "It was the case that I didn't have any more power than anyone else." What he did have, Kaine says, was the ability to build relationships to get things done. Take the renovation of Maggie Walker High School as a regional Governor's School. That was his idea, Kaine says, and to make it happen he had to convince council of the plan's merit, garner support from the surrounding counties and negotiate financing. Then there was Project Exile. The controversial but effective program, which instituted a mandatory five-year sentence in federal prison for possession of an illegal firearm, sprang from a collaboration between Hicks, federal prosecutor Jim Comey and Police Chief Jerry Oliver. Kaine has taken some measure of credit for Exile but is careful, in an interview, to say that he was only part of the effort. Kaine must be cautious about how he uses the shorthand of campaign boasts, Hicks says. "I'm a Democrat, obviously," Hicks says, "but I'm also an advocate for the truth." In one TV ad, Kaine says, "I cut taxes as mayor of Richmond." Kaine did not sponsor ordinances to lower the property tax rate, although he did vote to kill tax increases on a few occasions. He voted in favor of tax abatement for renovated buildings, a program that led to a boom in residential renovations. He also, as the Kilgore campaign points out, co-sponsored an ordinance in July 1994, shortly after he took office, to reverse a previous property-tax cut that had shaved off 3 cents per $100 of assessed value. Yet Kaine deserves a measure of credit for tax reductions, Moeser says. "It took City Council to reduce the tax rate, but he was presiding over City Council at the time," Moeser says. Kaine's opponents note that tax bills went up anyway as assessments rose  but the jump in property values was a positive sign for the city, Moeser says. It is true, Hicks says, that Kaine was a dynamic leader who can take credit for much of what the council achieved. "There was no question that Tim was quarterback," he says. Trouble is, he and Moeser agree, the Kaine they see running for governor isn't the same ebullient quarterback he was as mayor. They see a Kaine who's more cautious in expressing his views, a Kaine who has been repackaged as a conservative in order to appeal to a broader spectrum of Virginians. Therein lies the danger, Moeser says. "He is not as clear and decisive with regard to what I think his core values are," he says. And in this campaign, Moeser says, he seems to be losing "some of what made Tim Kaine uniquely Tim Kaine." Yet Hicks believes Kaine has placed himself in a no-lose situation. "Tim is the favorite son of Richmond right now," he says  even local Republicans are fond of him. And if Kaine falls short of success in his bid to run a red state, Hicks says, he has another option: "Tim will immediately become the first choice of many to become the next mayor of the city of Richmond," he says.